President Muhammadu Buhari has advised electorates not to re-elect governors who failed in their first terms. 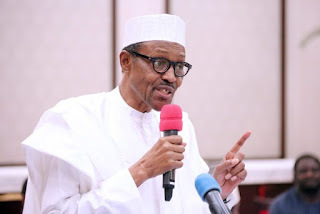 Buhari said Governors who failed to pay civil servants salaries even after collecting bailouts from the federal government, should not be allowed to return to office. The President who is the presidential candidate of the All Progressives Congress, APC, said Nigerians’ votes should go for competence. Buhari spoke with the Hausa service of the Voice of America, which was aired Tuesday morning. According to the President, he saw no justification in governors collecting bailout funds from the federal government and still failing to pay wages. He said, “I wonder how these governors are able to sleep knowing that they have refused to pay workers their wages. He said the constitution of the country gives governors the independence to spend their funds without interference and that is why some are abusing that privilege by refusing to work for the people.